... Well, this is awkward. You guys may remember this upcoming browser game that Namco Bandai announced awhile back: Tales of the World: Dice Adventure. As the name suggests, this free-to-play browser game is like a hybrid between your standard Tales RPG and a dice-rolling board game. 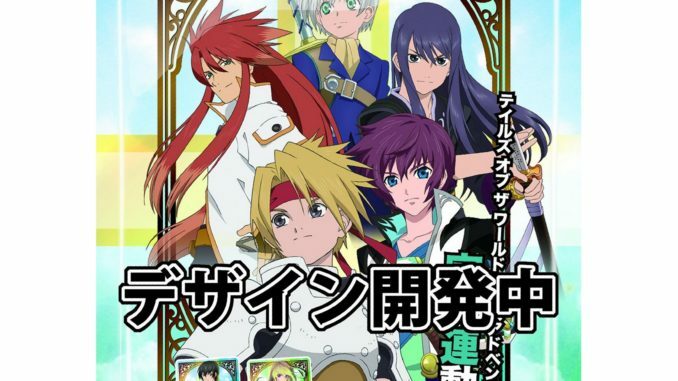 It will let you control and team up with various Tales of Series characters, featuring them in new chibi-fied art. The game's official site has been updated today with some new information. First off, you actually have your own avatar in the game, similar to the ones used in Tales of the Town and Banafes! Town. As you go through the game board, you may engage other players in a battle using your own set of Tales of Series characters (in chibi form). So, where would you get more characters? The site tells us of one way, and that is to purchase a box of Tales of the World: Dice Adventure Wafers. One whole box will come with 20 delicious individually wrapped cocoa cream wafers, each having one character card with a serial number. Said serial number can be used once Dice Adventure is in operation (which will be starting late April of this year) to add more characters to your party. There are a total of 24 different card varieties, but each individual wafer pack will only have 1 card, hence, there may be doubles in there somewhere. Currently, pre-orders for the wafers are only available in Amazon Japan and Animate. Amazon JP is offering the whole box with 20 wafers for 3,150 Yen (around $40), while Animate is selling the individually packed ones for 157 Yen (around $2). Each shop has an additional 3 cards that are unique only to them (i.e. Amazon JP has three different unique cards available aside from the standard 24. The same goes for Animate). The wafers will be released on May 2, 2012. Additionally, if you have a Banafes! 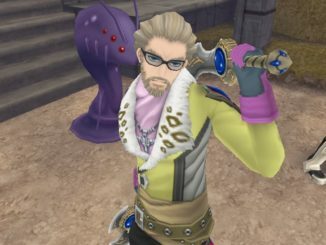 account, you may pre-register for Dice Adventure and receive some game bonuses: Jude Mathis for your party and a Falcon Jacket for your game board avatar. 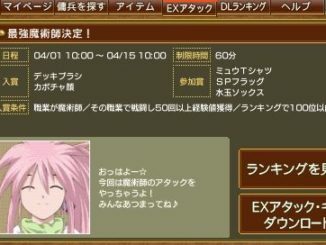 New RM2 EX Attack, The Strongest Mage! + Namdai Sites Merge + (NEW) Patty? 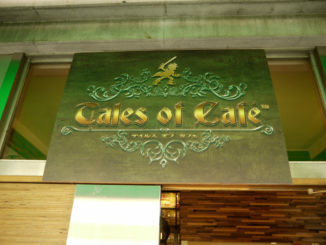 Let's All Have A Look At The Tales of Cafe!